If you don’t have a bank account, a prepaid card works well as a debit card substitute. These cards function the same as debit cards in that you can use them for purchases or for getting cash at an ATM. The difference is that, as the name suggests, you need to load funds onto the card before using them, unlike standard debit cards which are tied directly to a bank account. It’s natural to wonder which is the best-prepaid card on the market since there are a plethora of options available. When it comes to choosing the best-prepaid card, the AccountNow Gold Visa Prepaid Card ranks near the top due to its many benefits and its ease of use. Besides those product details, there can be additional fees, but that depends entirely on how you use the card. If you set up direct deposits and only use the card for purchases and bill payments, you can avoid any fees besides that $9.95 monthly maintenance fee. Even though you need to pay for this card every month, keep in mind that you’re avoiding bank fees and you can’t overdraft this card, either. Withdrawing money from an ATM in the United States has a $2.50 fee, and if the withdrawal is at an ATM in another country, the fee will be $4.95. The ATM could also have its own fees if you’re using one that isn’t part of the AccountNow network. However, since point-of-sale transactions don’t have a fee, an easy way to avoid ATM fees when you need to withdraw money is by making a purchase, selecting the Debit option and requesting cash back for the amount that you need. One nice benefit of this card is the $15 bonus, which you can get within the first six months of having the card. To get the bonus, you must have two direct deposits in consecutive months, and each deposit must be at least $500. These must be recurring direct deposits from an employer or benefits provider. After the second deposit has posted to your account and you’ve met the bonus requirements, you simply need to call AccountNow about the bonus. They’ll verify that you’ve met the terms and deposit the $15 bonus onto your card within 15 days. Getting your prepaid Gold Visa from AccountNow is as easy as it gets. The application is available on the AccountNow site, and from the homepage, you can click either Sign Up or Get My Card to go to the application page. If you have a referral code, you can also enter that when you apply. Once you’ve filled that out, you can click Send My Card to get your application processed and your card sent out. 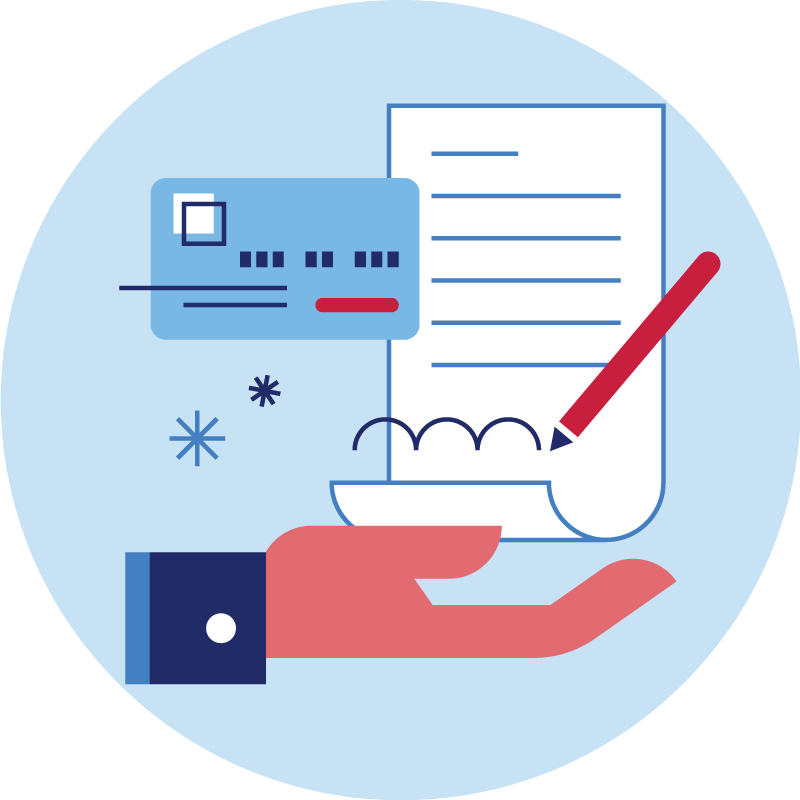 There won’t be any sort of credit check, and when your card arrives in the mail, you can activate it on the AccountNow site. Whether you don’t have a bank account because you’re focused on avoiding bank fees or for other reasons, a prepaid card is a valuable tool that can take the place of a typical debit card. When it comes to avoiding those pesky bank fees, the AccountNow Gold Visa is certainly the best-prepaid card available, but you still need to use it correctly to save yourself money. The two most important things you can do with this prepaid card is set up recurring direct deposits and only use your card for in-person or online purchases. There is also the option of depositing money to your card at certain retail locations, but they can charge up to $4.95 as a reload fee. This is a convenient option when you need to put money on your card, but if you’re going to keep the card long term, you’re better off sticking to direct deposits that don’t cost you anything. Those ATM fees can also cut into your balance quite a bit. Since you can just get cash back instead, there’s almost never a reason why you should eat an ATM fee with this card. Overall, this prepaid card is a reliable option that will work anywhere Visa is accepted, and you can get it for a reasonable monthly fee. With many competitors arising in the checking account arena, there are many choices for consumers today. Whether traditional banks or credit unions, the options seem endless. Arriving on the scene is the Account Now Visa Card. What are the features of this card and how is this a better alternative than most checking accounts at traditional banks today. The consumer has the option of receiving their direct deposit up to 2 days earlier. This is a very attractive feature as many workers would prefer to have their money days before the actual payday. To pay bills, go shopping, or handle any other financial responsibility. Account Now has given the consumer a real headstart before payday. As this is a prepaid card, there is no need to worry about overdraft fees at any time. Traditional banks and credit unions have overdraft fees in the event the consumers have charges that exceed the available funds in the account. There a few facts about the AccountNow gold visa prepaid card, this is not a problem because there are no overdraft fees at all. If the funds are not in the account then the transaction will not happen. That is very simple and effective for most consumers today. What makes traditional banks unattractive when it comes to opening checking accounts is that they have high overdraft fees in the event the consumer goes over the limit. The time period for paying off the overdraft fee is such that, if the consumer does not make the proper payment then additional fees will be added to the already high fee. Account Now have taken away that fear from the consumer. Most banks have fees for bounced or returned checks to the consumer. This is a fee that many have received when making transactions and not taking into account what is actually in the account at the time of the purchase. Bounced checks can be very embarrassing to many when they realize the check has bounced. The bank will charge fees in the event this happens. Consumers have looked for an alternative and Account Now has delivered another choice that will alleviate concerns about bounced check fees. This is another fact of the many facts about he AccountNow gold visa prepaid card. What to watch out for when using Accountnow Gold Visa Prepaid Card? This is a question that many have asked and there a few answers to satisfy those who are looking for answers. For one, there is no minimum balance when maintaining this card account, so in the event, the consumer uses all the money on the account, there is no minimum amount needed to maintain an active account. Traditional banks have a certain amount that the consumer must maintain in the account to have an active account with the financial institution. For Accountnow Gold user, This gives breathing room for the customer in the event that last minute funds are needed for any purpose. To have to wait to withdraws fund on another day when the funds are available is disheartening. Account Now has done the consumers a favor with this feature. Consumers who cannot get a traditional checking account must use check cashing businesses to pay bills, cash a paycheck, etc. With AccountNow, this is done away with because there are no fees for having a check direct deposited or for paying your bills. There is a monthly fee of only $9.95 cents that is in no way the same amount with traditional banks when certain parameters are not met. There is a small ATM fee when the customer uses the AccountNow card to withdraw funds. This is small in comparison to the consumer without a checking account not being able to use the ATM at all. When that is considered, the small fee required by AccountNow is not a major setback. Check cashing services have fees that cost the consumer extra money when cashing a check is concerned. There are more than $250 saved per year with check cashing because there is a direct deposit feature setup for the consumer. When the amount it costs to pay bills, use the ATM, and monthly fees are totaled up, the consumer will save more than $500 a year with this card. Not only paychecks can be deposited on the AccountNow card, but SSI benefits can also be deposited on this card as well. All that is needed is for the consumer to set the deposit method up with the card and the money will start to load on the card at the appointed time. 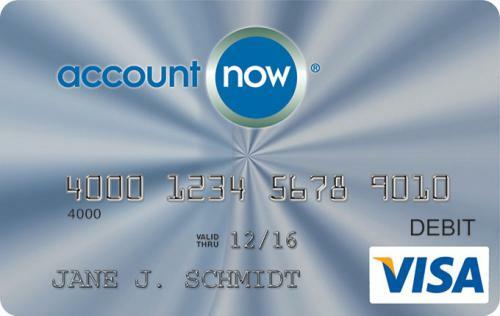 With the inexpensive costs of using this card, the consumer will do well to sign up to receive a new AccountNow card. There are online payment features the customer can use with this card. All the features of a traditional checking account debit card are contained in the card as well. There is only a difference in small numbers of fees with this AccoutnNow Card and the traditional bank’s fees for the same options.